For other uses, see Criterion Theatre (disambiguation). The Criterion Theatre is a West End theatre at Piccadilly Circus in the City of Westminster, and is a Grade II* listed building. It has a seating capacity of 588. In 1870, the caterers Spiers and Pond began development of the site of the White Bear, a seventeenth-century posting inn. The inn was located on sloping ground stretching between Jermyn Street and Piccadilly Circus, known as Regent Circus. A competition was held for the design of a concert hall complex, with Thomas Verity winning out of 15 entries. He was commissioned to design a large restaurant, dining rooms, ballroom, and galleried concert hall in the basement. The frontage, which was the façade of the restaurant, showed a French Renaissance influence using Portland stone. After the building work began, it was decided to change the concert hall into a theatre. The composers' names, which line the tiled staircases, were retained and can still be seen. The redesign placed the large Criterion Restaurant and dining rooms above the theatre, with a ballroom on the top floor. When Spiers and Pond applied for a licence to operate, the authorities were unhappy because the theatre was underground and lit by gas, creating the risk of toxic fumes. The Metropolitan Board of Works had to vote twice before the necessary licence was issued, and fresh air had to be pumped into the auditorium to prevent the audience from being asphyxiated. It was not until October 1881, at the Savoy, that the first theatre was lit electrically. The building was completed in 1873 with the interior decoration carried out by Simpson and Son. The first production opened on 21 March 1874 under the management of Henry J. Byron & EP Hingston. 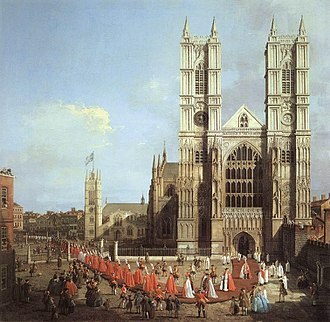 The programme consisted of An American Lady written and performed by Byron and a piece by W. S. Gilbert, with music by Alfred Cellier, entitled Topsyturveydom. The event apparently did not make much of an impression on Gilbert. 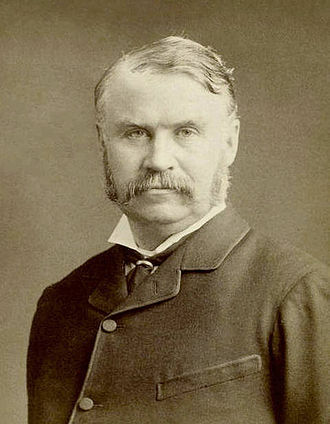 In a 1903 letter to Thomas Edgar Pemberton, author of the book on The Criterion, Gilbert wrote: "I am sorry to say that in my mind is an absolute blank to the opening of The Criterion. I never saw Topseyturveydom. If you happen to have a copy of it and could lend it to me for a few hours it might suggest some reminiscences: as it is I don't even know what the piece was about!" Gilbert had, however, been back at the theatre in 1877 with his farce, On Bail (a revised version of his 1874 work, Committed for Trial); in 1881, with another farce, Foggerty's Fairy; and in 1892, with a comic opera, Haste to the Wedding, with music by George Grossmith (an operatic version of Gilbert's 1873 play, The Wedding March). Haste to the Wedding was a flop, but it introduced the 18-year-old George Grossmith, Jr., the composer's son, to the London stage. The younger Grossmith would go on to become a major star in Edwardian musical comedies. Charles Wyndham became the manager and lessee in 1875, and under his management the Criterion became one of the leading light comedy houses in London. The first production under the manager was The Great Divorce Case, opening on 15 April 1876. When Wyndham left in 1899 to open his own theatre, The Wyndham's Theatre (and then the New Theatre, now called the Noël Coward Theatre, in 1903) he remained the lessee bringing in various managements and their companies. In March 1883 the theatre closed for alterations demanded by the Metropolitan Board of Works. The pumping of fresh air into the ten-year-old auditorium, some thirty feet below street level, was deemed unsatisfactory. Thomas Verity supervised the alterations (Verity by now had also designed the Comedy Theatre in 1881 and the Empire Theatre in 1882). The new direct access ventilation shaft meant cutting off a considerable portion of the adjoining Criterion Restaurant. New corridors were built, with several new exits. The auditorium was reconstructed and the stage re-equipped. The old dressing rooms were demolished and new ones built. Most importantly, electricity was installed. Dramatic Notes (1884) states "The Criterion Theatre, transformed from a stuffy band-box to a convenient, handsome, and well ventilated house, reopened on April 16". Further alterations and redecorations took place in 1902–03, when the theatre was closed for seven months. Between the world wars productions included Musical Chairs with John Gielgud and in 1936, French Without Tears which ran for 1,039 performances and launched the writing career of Terence Rattigan. 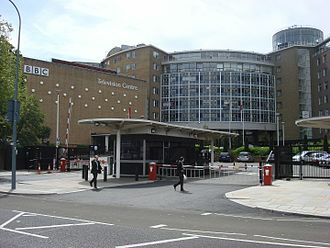 During World War II, the Criterion was requisitioned by the BBC – as an underground theatre it made an ideal studio safe from the London blitz – and light entertainment programmes were both recorded and broadcast live. 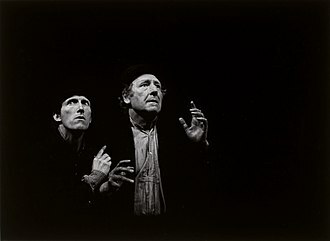 After the war, the Criterion repertoire included avant-garde works such as Samuel Beckett's Waiting for Godot. The early part of 1956 saw the arrival of Anouilh's popular comedy, The Waltz of the Toreadors, with impressive performances by Hugh Griffith and Beatrix Lehmann. In the 1970s the Criterion site was proposed for redevelopment, which caused protest, as people feared the theatre would be lost. In February 1975 the GLC Planning Committee approved the development on the condition that the theatre continued in "full, continuous and uninterrupted use" while the redevelopments took place. 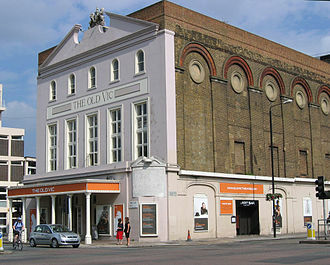 Throughout the 1970s and early 1980s the argument increased, and the Equity Save London's Theatre Committee organised high-profile demonstrations (campaigners included John Gielgud, Edward Woodward, Diana Rigg, Robert Morley and Prunella Scales) as they feared that the theatre would still be lost. In the 1980s, the theatre building was purchased by Robert Bourne, a property tycoon and patron of the arts, and his wife, theatre impresario Sally Greene. The couple set up the Criterion Theatre Trust, a registered charity created to protect the Criterion's future. From 1989 to 1992 the theatre was renovated both in the back and front of the house. During that time, the block that exists today was built around it. After the refurbishment, the Criterion retains a well-preserved Victorian auditorium with an intimate atmosphere. Major productions in the last two decades of the century included Tom Foolery (1980–1981), Can't Pay? Won't Pay! (1981–1983), and the long-running Run for Your Wife (1983–1989). From 1996 to 2005, the theatre was home to productions of the Reduced Shakespeare Company, notably The Complete Works of William Shakespeare (Abridged). The theatre hosted the first round of recalls for successful auditionees in ITV's Pop Idol. The theatre is also used by leading drama institutions as a venue for their graduating students' annual showcases. From 2006 to 2015, the Criterion hosted the long-running melodrama The 39 Steps, adapted for the stage by Patrick Barlow from John Buchan's 1915 novel, which was adapted for film by Alfred Hitchcock in 1935. Peppa Pig's Party transferred to the Criterion Theatre for the 2010 Christmas period to play alongside The 39 Steps and returned for the following 4 Christmas periods up to 2014. Criterion Presents, launched in October 2011, is an ancillary programme of shows, events and platforms that run alongside the main production, taking place at lunchtimes, early evenings and late nights. ^ Historic England (5 February 1970). "Criterion Theatre (1265753)". 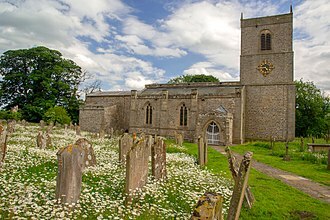 National Heritage List for England. Retrieved 9 October 2014. Wikimedia Commons has media related to Criterion Theatre. Theatre History With 1800s programmes and other archive material. Jean Marie Lucien Pierre Anouilh was a French dramatist whose career spanned five decades. One of Frances most prolific writers after World War II, much of Anouilhs work deals with themes of maintaining integrity in a world of moral compromise, Anouilh was born in Cérisole, a small village on the outskirts of Bordeaux, and had Basque ancestry. His father, François Anouilh, was a tailor, and Anouilh maintained that he inherited from him a pride in conscientious craftmanship and he often attended rehearsals and solicited the resident authors to let him read scripts until bedtime. He first tried his hand at playwriting here, at the age of 12, in 1918 the family moved to Paris where the young Anouilh received his secondary education at the Lycée Chaptal. He liked the work, and spoke more than once with wry approval of the lessons in the virtues of brevity. Anouilhs financial troubles continued after he was called up to service in 1929. 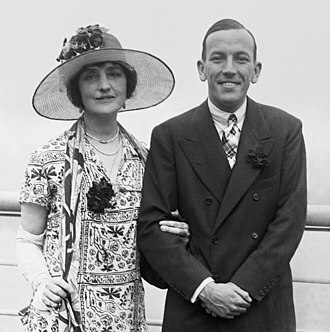 Supported by only his meager salary, Anouilh married the actress Monelle Valentin in 1931. Though she would go on to star in many of his plays, Anouilhs daughter Caroline, Anouilhs youngest daughter Colombe even claims that there was never an official marriage between Anouilh and Valentin. She allegedly had multiple affairs, which caused Anouilh much pain. 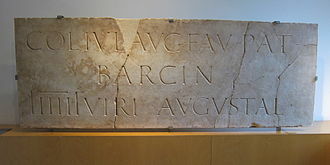 The infidelity weighed heavily on the dramatist as a result of the uncertainty about his own parentage, according to Caroline, Anouilh had learned that his mother had had a lover at the theatre in Arcachon who was actually his biological father. In spite of this and Valentin had a daughter, Anouilhs growing family placed further strain on his already limited finances. Determined to break into writing full-time, he began to write scenes for the cinema to supplement their income. At the age of 25, Anouilh found work as a secretary to the French actor and director Louis Jouvet at the Comédie des Champs-Elysées, Giraudoux was an inspiration to Anouilh and, with the encouragement of the acclaimed playwright, he began writing again in 1929. Piccadilly Circus is a London Underground station located directly beneath Piccadilly Circus itself, with entrances at every corner. 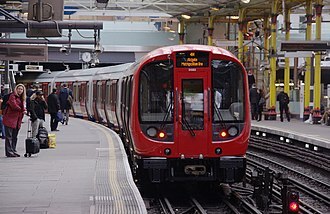 Located in Travelcard Zone 1, the station is on the Piccadilly line between Green Park and Leicester Square and on the Bakerloo line between Charing Cross and Oxford Circus. The station was opened on 10 March 1906 by the Baker Street and Waterloo Railway with the platforms of the Great Northern, Piccadilly, as originally built it had, like other stations, a surface booking hall. It was decided to construct a sub-surface booking hall and circulating area, work began in February 1925 and was completed in 1928. The architect was Charles Holden and the builder was John Mowlem & Co, eleven escalators were provided in two flights, leading to the two lines serving the station. Above these escalators was once a mural by artist Stephen Bone and this mural was replaced by advertising. This station can act as a terminus for southbound Bakerloo line trains. Piccadilly Circus is one of the few London Underground stations which have no associated buildings above ground, Piccadilly Circus is a proposed stop on the Chelsea-Hackney Line, known as the Crossrail 2. George Grossmith Jr. was a British actor, theatre producer and manager, director and songwriter, best remembered for his work in and with Edwardian musical comedies. Grossmith was an important innovator in bringing cabaret and revues to the London stage. Born in London, he took his first role on the stage at the age of 18 in Haste to the Wedding. Grossmith soon became an audience favourite playing dude roles, early appearances in musicals included George Edwardess hit A Gaiety Girl in 1893, and Go-Bang and The Shop Girl in 1894. In 1895, Grossmith left the stage, instead appearing in straight comedies. The lanky Grossmith was often paired with the diminutive Edmund Payne. At the same time, he developed a reputation as a co-writer of musicals and revues, Grossmith soon established himself as a major producer, together with Edward Laurillard, of such hits as Tonights the Night, Theodore & Co and Yes, Uncle. He wrote the long-running revue series that began with The Bing Boys Are Here and he continued to appear in other producers shows, including The Naughty Princess and No, No, Nanette. Later, he performed in such pieces as Princess Charming and appeared in at least ten films for London Film Productions Ltd. among other films and he produced The Land of Smiles and Cavalcade, and in 1933, he played Touchstone in a production of As You Like It. George Grossmith was born in Haverstock Hill, the eldest son of the writer and Gilbert and Sullivan star George Grossmith and his grandfather was named George Grossmith, and even though he was the third George Grossmith, he was credited on stage as George Grossmith Jnr. His brother was the actor Lawrence Grossmith, Grossmith studied at University College School in London, and in Paris, and his parents hoped that he would follow an army career, but that was not to be. In 1895, Grossmith married burlesque and musical comedy actress Gertrude Elizabeth Cissie Rudge, whose name was Adelaide Astor. Letty Lind was the most famous of these and his wife had three children, Ena Sylvia Victoria, who became a stage and film actress, who became a theatrical manager, and Rosa Mary. Thomas Verity was an English theatre architect during the theatre building boom of 1885–1915. Verity began his career articled in the department of the War Office. He further assisted in the building of the Royal Albert Hall between 1867–70, in 1870, he won an open competition to build the Criterion Theatre and Criterion Restaurant for caterers Spiers and Pond founding his own architectural practice. Other London theatres for which he was engaged included the Royalty Theatre, the Novelty Theatre, the Folly Theatre, the Scala Theatre, in 1878, he was appointed consulting architect to the Lord Chamberlains office. Initially, this was in partnership with G. H. Hunt, but with his son, Frank Verity, both Veritys bought an interest in ornate Second Empire-style architecture to their early buildings, developing this into grand Beaux Arts in their works. Many of the buildings have achieved recognition in the late 20th century. Frank Verity continued the practice, on his fathers death, and Sam Beverley, his son-in-law, joined the practice in the 1920s, the company designed many cinemas achieving a Royal Institute of British Architects bronze medal for the Shepherds Bush Pavilion cinema in 1930. Jermyn Street is a one-way street in the St Jamess area of the City of Westminster in London, England. It is to the south of, and adjacent to Piccadilly, gentlemens outfitters Hackett and DAKS are located on Jermyn Street, as well as shoe- and boot-makers John Lobb and Foster & Son. F. Trumper, and Taylor of Old Bond Street, cigar shop Davidoff, as well as Britains oldest cheese shop, Paxton & Whitfield, trading since 1797. Among the restaurants in the street are the historic Wiltons, the new Fortnum and Mason restaurant -45 Jermyn St, tramp nightclub and the 70-seat Jermyn Street Theatre are on the street. Jermyn Street was created by and named after Henry Jermyn, 1st Earl of St Albans, as part of his development of the St Jamess area of central London, the street was first recorded as Jarman Streete in the 1667 rate books of St Martins, listing 56 properties. 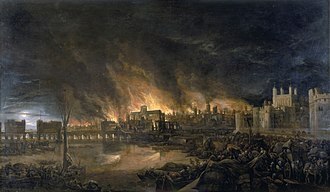 In 1675 there were 108 names listed, floris, a perfumers in the street, has display cabinets acquired directly from the Great Exhibition in 1851. The Gun Tavern was one of the resorts for foreigners of revolutionary tastes during the end of the 18th century. At the Brunswick Hotel, Louis Napoleon took up his residence under the name of Count DArenberg on his escape from captivity in the fortress of Ham. Twentieth-century residents included the 1930s big band singer Al Bowlly, though he did not live there, a statue of Beau Brummell stands on Jermyn Street at its junction with Piccadilly Arcade, as embodying its elegant clothing values. Aleister Crowley lived in No.93 during the Second World War up until 1 April and it was through Crowley that Nancy Cunard resided in a flat in Jermyn Street. Jermyn Street shops traditionally sell shirts and other apparel, such as hats, shaving brushes, braces. Many tailors owned or still own the houses along the street,22, Jermyn Street, for instance was once owned by Italian silk merchant Cesare Salvucci and a military tailor who rented rooms out to people such as the banker Theodore Rothschild. 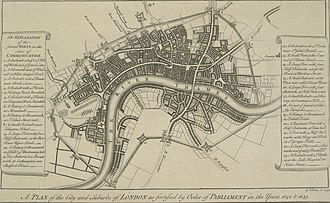 Most of the buildings appear in Survey of London in The Parish of St James Westminster Part 1 South of Piccadilly, Volumes 29 and 30, Vol.29, which can be viewed online. 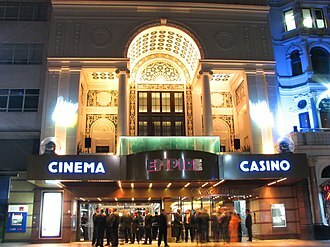 The Empire, Leicester Square is a cinema currently operated by Cineworld on the north side of Leicester Square, London. The Empire was originally built in 1884 as a variety theatre and was rebuilt for films in the 1920s and it is one of several cinemas in and adjoining Leicester Square which are regularly used for film premières and first runs. The Empire Theatre opened on 17 April 1884 under the ownership of Daniel Nicols as a West End variety theatre on Leicester Square, as well as a ballet venue, the first performance was Chilpéric, with music by Hervé, adapted by H. Hersee and H. B. Farnie and described as a Grand Musical Spectacular, in three acts and seven tableaux, the corps de ballet for the performance was 50 strong. Kate Vaughan starred in Around the World in 80 Days at the theatre in 1886, Hervé premièred his Diana and Cleopatra at the theatre. In 1887, the theatre reopened as a music hall named the Empire Theatre of Varieties. From 1887 to 1915, the designer C. Wilhelm created both scenery and costumes for numerous ballets at the theatre, which established a fashion for stage design and were much imitated, george Edwardes managed the theatre around the start of the 20th century. In March 1896, the Empire Theatre played host to the first commercial theatrical performances of a film to a UK audience by Auguste. The film programme ran for 18 months, over the next few years, the theatre began to offer a programme of live performances with short film shows. Lamb, parts of the Frank Verity designed external structure remain on the West side, the theatres capacity was increased to about 3,300 seats, it boasted a 4/21 Wurlitzer organ, a large stage which often hosted ballet and dance performances. It was one of the first cinemas in the UK to be air conditioned. The new cinema opened on 8 November 1928 with the silent film Trelawny of the Wells, programmes of cine-variety were presented at the Empire after the war. These were elaborate live shows, similar to those presented at the Radio City Music Hall, the American producer, Nat Carlson, was hired, in 1952 the Empire featured in Charlie Chaplins film Limelight, and can be seen in archived newsreel footage of special events. Topsyturveydom is a one-act operetta by W. S. Gilbert with music by Alfred Cellier. Styled an entirely original musical extravaganza, it is based on one of Gilberts Bab Ballads and it opened on 21 March 1874 at the Criterion Theatre in London and ran until 17 April, for about 25 performances. The musical score to Topsyturveydom does not survive, but amateur productions in recent decades have used newly composed scores or performed the work as a non-musical play, topsy­turveydom is set in a quasi-utopia, where things are the opposite of the norm. Party politics is lampooned, much as it would be two decades in Gilbert and Sullivans Utopia, Limited, as in that work, the king is a detested monarch. 1874 was a year for both Gilbert and Cellier. An adaptation from the French, Committed for Trial, another adaptation from the French called The Blue-Legged Lady, and he wrote a Bab-illustrated story called The Story of a Twelfth Cake for the Graphic Christmas number. Cellier produced his most successful work, a full length comic opera called The Sultan of Mocha. Gilbert was either too busy to see his own show, or else, disappointed by its lack of success with audiences, he had put it out of his mind. In a letter to T. Edgar Pemberton, author of the 1903 book on the Criterion Theatre, Gilbert wrote, I am sorry to say that in my mind is an absolute blank to the opening of The Criterion. If you happen to have a copy of it and could lend it to me for a few hours it might suggest some reminiscences, the Athenaeum called the piece clever, but rather remote. An exercise rather than an amusement and his dramatic writing during this time was evolving from his early musical burlesques. Some of his work during this period exhibited a more restrained style, exemplified by a series of fairy comedies. Mr. Satis – J. Clarke King Patatra – F. Dewar Crapolee – E. W. Garden Wilkins – Mr. Smith Quop – Miss Montgomery Crambo – Miss C, this may be another Topsyturvey element. The Prime Minister of Topsyturveydom arrives at the home of old Satis and he describes his country as a land where everything is conducted on principles the very reverse of those in England. Sir Charles Wyndham was an English actor-manager, born as Charles Culverwell in Liverpool, the only son of a doctor, Robert James Culverwell, M. R. C. S. He was educated abroad, at Kings College London and at the College of Surgeons and he took the degree of M. R. C. S. in 1857 and that of L. M. in 1858. His taste for the stage - he had part in amateur drama - was too strong for him to take up either the clerical or the medical career suggested for him. His first appearances on stage were for Sir Hugh Lyon Playfairs private theatre at St Andrews, early in 1862 he made his first professional appearance in London, performing with Ellen Terry. Later in the year he went to America and since further stage work was not forthcoming, there was a shortage of surgeons in the United States, which was in the throes of the Civil War, and he volunteered to become brigade surgeon in the Union army. He served at the battles of Fredericksburg and Gettysburg, on 17 November 1864 he resigned his contract with the Army to return to the stage. He starred, in 1867, in W. S. Gilberts La Vivandière, in years he was to appear in America, between 1870 and 1872 in his own Wyndham Comedy Company, and in tours between 1882 and 1909. On one occasion he appeared in New York City with John Wilkes Booth, returning to England, his career blossomed. Although he was occasionally to play Shakespeare, his work consisted of the popular melodramas. He played at Manchester and Dublin in Her Ladyships Guardian, his own adaptation of Edward B and he reappeared in London in 1866 as Sir Arthur Lascelles in Morions All that Glitters is not Gold, but his great success at that time was in F. C. Burnands burlesque of Black-eyed Susan, as Hatchett, with dance and this brought him to the erstwhile St Jamess Theatre, where he played with Henry Irving in Idalia, with Ellen Terry in Charles Reades Double Marriage, and Tom Taylors Still Waters Run Deep. In 1876 he took control of the Criterion Theatre, S. Gilbert, and he became famous for his acting in David Garrick. Haste to the Wedding is a three-act comic opera with a libretto by W. S. Gilbert and music by George Grossmith, based on Gilberts 1873 play, The Wedding March. The opera was the most ambitious piece of composition undertaken by Grossmith, the piece was produced under the management of Charles Wyndham at the Criterion Theatre, opening on 27 July 1892. It closed on 20 August 1892, after a run of just 22 performances, although a failure, the opera introduced the 18-year-old George Grossmith, Jr. the composers son, to the London stage. He would go on to a career in the theatre. On 15 November 1873, Gilberts play The Wedding March debuted at the Court Theatre and it was a free adaptation of Eugène Marin Labiches Un chapeau de paille dItalie. The play was first to have been called Hunting a Hat, the name of the hero, Woodpecker Tapping, was taken from Thomas Moores ballad, The woodpecker tapping the hollow beech tree. The play ran for about 92 performances, until 3 March 1874, on the plays success, Stedman notes, Gilberts adaptation is a model of how a French farce could be intelligently suited to the English stage. It depended on split-second timing, on rapid intrusions and concealments, on frantically invented expedients and mistaken identities, and on the pursuit of a crucial object, the Era commented that there was enough fun. to make half-a-dozen ordinary farces. The piece was one of Gilberts most frequently played successes and brought him £2,500 and he told the critic William Archer, in 1904, that he had written it in just a day and a half. The play was given as part of a matinee at the Gaiety Theatre, London, on 4 December 1884 with a cast starring Lionel Brough. 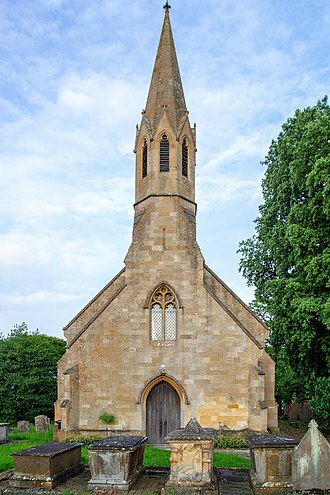 The idea of turning The Wedding March into an opera was on Gilberts mind for many years, the project was mooted in 1876 as a successor to Trial by Jury. The script of The Wedding March makes several references to an Irish song called Haste to the Wedding, by the 1890s, Gilberts partnership with Sullivan had unravelled, and Gilbert had to find other partners. He wrote The Mountebanks with Alfred Cellier, and turned to George Grossmith, by opening night,27 July 1892, Gilbert was approaching a reconciliation with Sullivan, who was in attendance. Portland stone is a limestone from the Tithonian stage of the Jurassic period quarried on the Isle of Portland, Dorset. The quarries consist of beds of white-grey limestone separated by chert beds and it has been used extensively as a building stone throughout the British Isles, notably in major public buildings in London such as St Pauls Cathedral and Buckingham Palace. It is exported to many countries—Portland stone is used in the United Nations headquarters building in New York City, Portland stone formed in a marine environment, on the floor of a shallow, sub-tropical sea probably near land. When seawater is warmed by the sun, its capacity to hold dissolved gas is reduced and bicarbonate ions within the water are able to combine, to form calcium carbonate as a precipitate. The process of lime scale build up in a kettle in hard water areas is similar, calcium carbonate is the principal constituent of most limestones. Billions of minute crystals of precipitated calcium carbonate accumulated forming lime mud which covered the sea floor, small particles of sand or organic detritus, such as shell fragments, formed a nucleus, which became coated with layers of calcite as they were rolled around in the muddy micrite. The calcite gradually accumulated around the fragments of shell in concentric layers and this process is similar to the way in which a snowball grows in size as it is rolled around in the snow. Over time, countless billions of these balls, known as ooids or ooliths, became partially cemented together by more calcite and this is one of the reasons why Portland stone is so favoured as a monumental and architectural stone. Dr Geoff Townson conducted three years research on the Portlandian, being the first to describe the patch-reef facies. Stone has been quarried on Portland since Roman times and was being shipped to London in the 14th century, Extraction as an industry began in the early 17th century, with shipments to London for Inigo Jones Banqueting House. 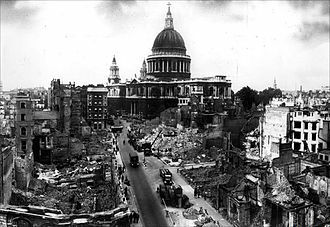 Wrens choice of Portland for the new St Pauls Cathedral was a great boost for the quarries, the island was connected by railway to the rest of the country from 1865. Albion Stone PLC has been quarrying and mining Portland stone since 1984, Portland Stone Firms Ltd have been quarrying Portland stone since 1994. The story concerns a man who, with the help of a fairy, changes a small event in his past to try to save his engagement to the girl he loves. This leads to changes in his present, and he finds that matters are even worse than before. Foggertys Fairy opened at the Criterion Theatre in London on 15 December 1881, Charles Wyndham, the manager of the Criterion, starred as the lead character, Frederick Foggerty. Despite Wyndhams star power, interest in the bold and original premise and reviews that were at least partly positive. It closed on 6 January 1882 after about 25 performances, Gilbert turned back to writing comic operas with Arthur Sullivan. By the time Foggertys Fairy premiered and Sullivan had already written half a dozen comic opera hits, since 1877, Gilbert had not written a successful play apart from Sullivan. 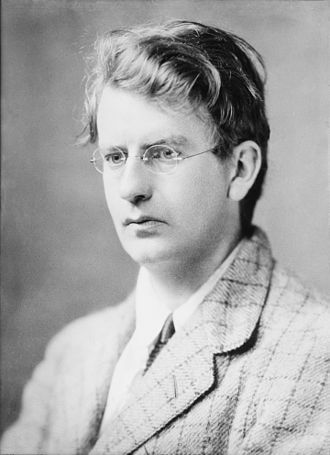 Gilbert wrote Foggertys Fairy for British actor Edward Sothern, who had commissioned two earlier plays from Gilbert, Danl Druce and The Neer-do-weel, Sothern had not been satisfied with The Neer-do-weel, despite various rewrites, and he refused the piece. He had already paid Gilbert for the play, and Gilbert was unable immediately to pay him back, after various discussions between Gilbert and Sothern, Gilbert agreed to let Sothern play his recent comedy success, Engaged, in America and promised to write a new play for him. In the autumn of 1879, Sothern was on one of his lengthy American tours and he intended to open the new Gilbert play at the Park Theatre in New York in the spring of 1880. At the same time, Gilbert was rehearsing his American productions of H. M. S. Pinafore, the premiere of The Pirates of Penzance and touring companies to play these and The Sorcerer. On 29 February 1880 The Era reported, Mr Sothern says that, although his new comedy, by Mr Gilbert, has cost him 3,000 guineas and it is a piece of the wildest absurdity ever perpetrated, and all the parts are immense. Obviously by that date Sothern had received a version of the play and was enthusiastic about it. 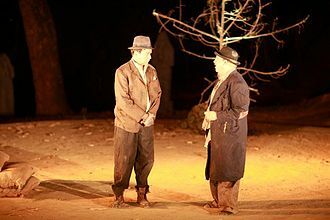 Sothern did not produce the play in the spring, and scholar Andrew Crowther speculates that Gilbert was late in completing it, in addition, Sothern had been ill for much of the time since the autumn, although he fulfilled his performing commitments. A statue of Beau Brummell in Jermyn Street.